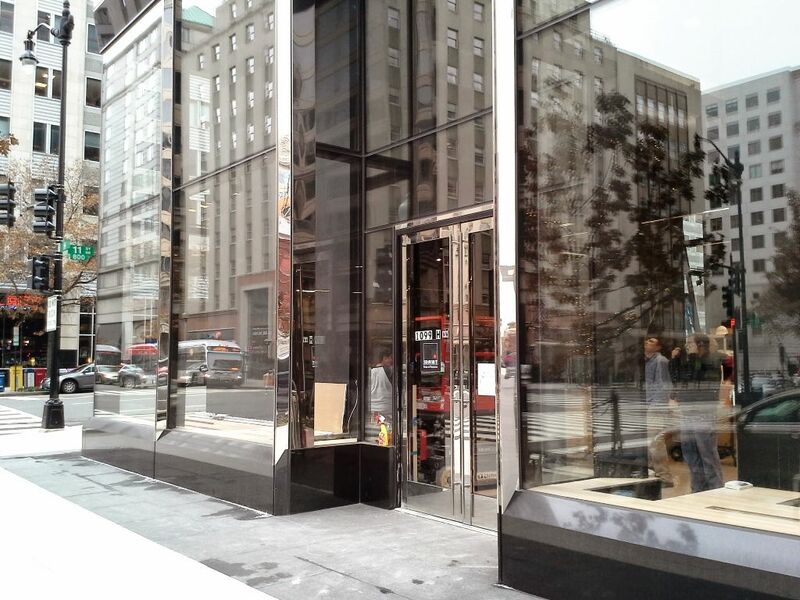 The construction activity continued apace today as workers get the soon to be opened Arc’teryx store at 1099 H St NW prepared for their grand opening event next weekend, Saturday, December 13, and Sunday, December 14. No signage is up yet but we’ll Tweet out a photo once it goes up or let you know if the store opens earlier than next Saturday. Of note, tomorrow beginning at 9 am Arc’teryx is running scavenger hunt and there are prizes. We snipped a bit about the hunt below but find the full details here. The best adventures always contain an element of the unknown. Our scavenger hunt puts up to $5,000 in prizing on the line. One day, one clue, one grand prize winner and up to 50 of your friends who can also win big. On Saturday, December 6 at 9am (EDT), we release the clue and a photo of the location where a chalk bag is stashed within your city limits. Find the chalk bag and the instructions inside. 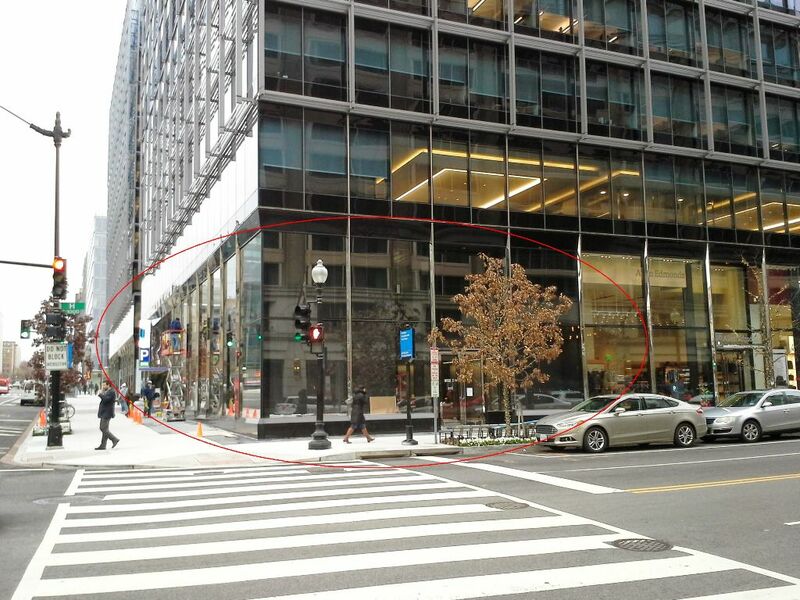 Take it to the Arc’teryx Washington, DC store by 5pm to collect your $250 @Arc’teryx certificate. Arc’teryx is a Canadian company that manufactures and sells high quality apparel and accessories for alpinism, climbing, snow sports, hiking, and running activities. We can honestly say that we like this addition to the CityCenter retail mix as it is a store where we would shop and look forward to checking it out.